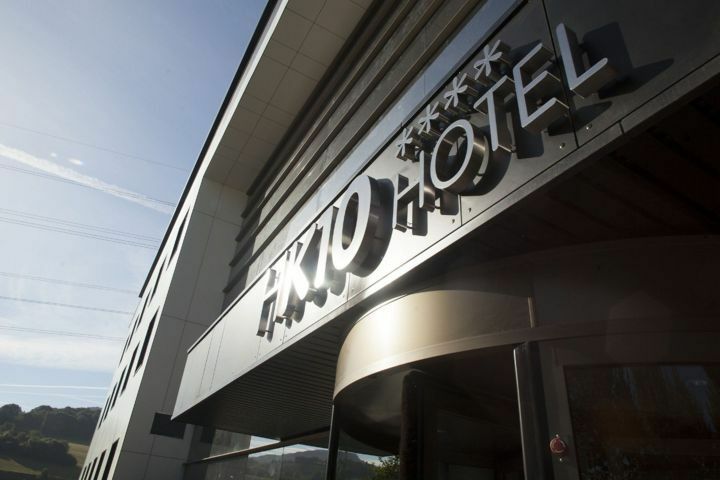 "Only on our website , enjoy a welcome detail, a drink in our cafeteria"
Destination K10 Hotel ¡Book Now! Built recently with materials of last generation that ensure a good acoustic and thermal isolation that guarantee a happy rest. Its modern design stands out on the rural environment in which it is situated. 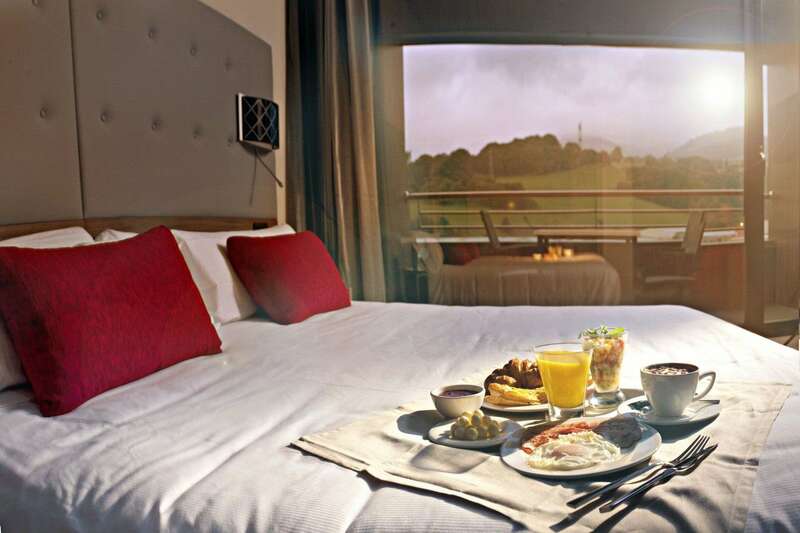 It has 52 rooms divided into three floors, meeting rooms, a large dining room and a cafeteria opened from 7 am to 11 pm, where you can enjoy breakfast, lunch and dinner, as well as traditional tapas. 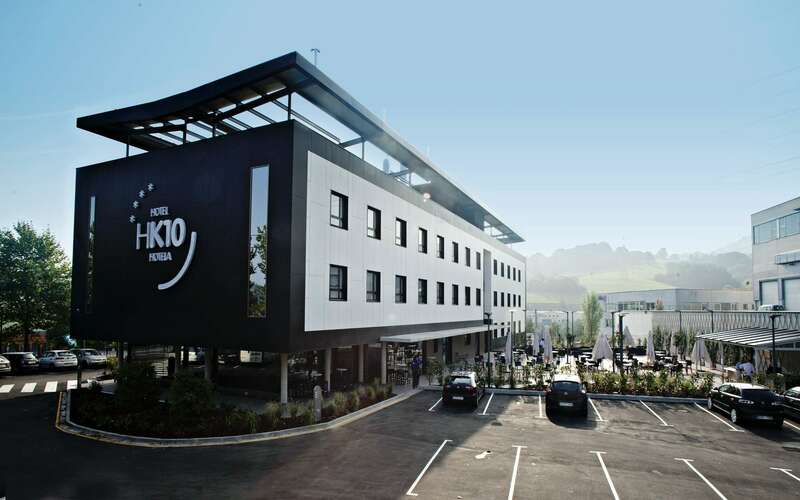 At Hotel K10, both for its location next to the A15 in Gipuzkoa, 10 minutes from San Sebastian, and its family atmosphere, you will find the ideal place to rest, whether traveling for business or leisure. 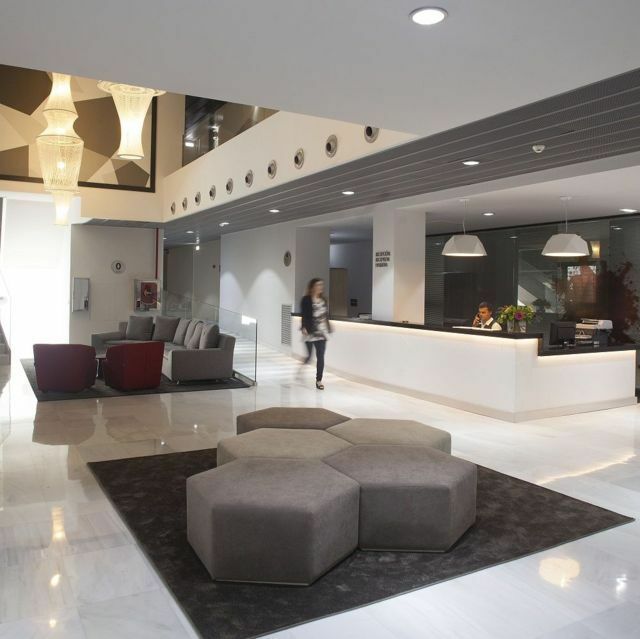 It is next to the Erratzu, Industrial Estate, close to the city´s business centres, as well as the various tourist atractions such as San Sebastián and the South of France. It is also at the epicenter of the territory of the Cider of Gipuzkoa.